Chasing the Whisker Biscuit - Trying to Dethrone the King of Containment Arrow Rests! What the heck is a Whisker biscuit? Where did the Whisker Biscuit come from and why? The Whisker Biscuit was originally created by Steve Graf and Ike Branthwaite. The pair founded a company named Carolina Archery Equipment back in 1999. Both of the men had a background in engineering and a love for bow hunting. Armed with the know how, and a passion for the sport of archery, the two would eventually give us all the very first Whisker Biscuit containment arrow rest. 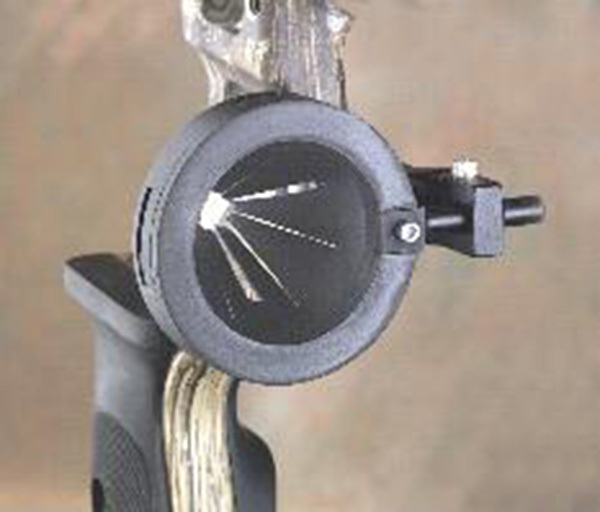 A containment arrow rest is an arrow rest that securely holds the arrow with multiple points of contact. These contact points will hold the arrow securely in a ready position until you have fired the shot. These contact points will also help guide the arrow until it has actually left the bow completely. The original vision the two men had for their new rest was simplicity. They wanted the rest to be an effective and high quality product but with a simple, user friendly design. In time the two men would finally make their dream a reality by introducing the world to their product; a weird circular thingy full of bristles. At first most people didn't really know what to make of The Whisker Biscuit but through word of mouth and some clever marketing the Biscuit was able to make it out of the "just a dream" phase and onto some pro shop shelves. Early designs of the Biscuit were very basic and were a little different than the ones we recognize today. On early models the bristles in the biscuit were all black, instead of brown and black, and the very well know "V" shaped grove on the side of the rest was not added until way later. The Whisker Biscuit was tested and approved by many shooters early on and it was a financial success. Thanks to the positive feedback and a healthy cash flow the men decided to mass produce the Biscuit and make it available to every shooter everywhere. .
From the very beginning the Whisker Biscuit made life easier for a lot of bow hunters and casual archery enthusiast all over the country. This new rest was easy to tune and the concept was very easy for people to wrap their heads around. You could take one look at Whisker Biscuit and completely understand how and why it works so well. The one thing that probably stood out the most to customers was the fact that it actually contained your arrow. The Biscuit has a circular shaped housing full of inward pointing bristles leaving only a small circular gap in the center of the rest for your arrow to sit. This design worked because once you put your arrow at the center of those bristles there was no where for the arrow to go but forward. It was an over all ground breaking product at the time because it offered solutions to a lot of existing products already on the market..
What made it stand out? Keep in mind that this was in a time when most people were still using "prong rests" and they were constantly dealing with the aggravation of an arrow popping off of their arrow rest. The prong style rest was very "popular" and widely used on most bows at this time but they got the job done for the most part. You remember prong rests, right? They were those ones that were made up of two little bent metal pieces and you would have to install little rubber shrink wraps on them to keep the arrows from clanking against the metal during a shot. If what I have just described rings a bell, then what you remember is a "prong rest! The worst part about this type of rest was how easy they made it for your arrow to bounce off of them while drawing back your bow. Any little flinch would make your arrow flop around and most likely roll off the side of the rest. Then you would have to set the string on the bow back down, put the arrow back on the rest, and try again. It was a PAIN! The only way to keep this from happening was to teach yourself a new type of form that prevented you from moving at all while drawing the bow back. It is always good to try and better your shooting form but when you are being forced by the flaws of you arrow rest to do so, it can be a bit counter productive. Even after you started getting the hang of carefully drawing back the bow it was an awkward and extremely uncomfortable thing to have to do. This headache made shooters ready and willing to move towards a product that allowed you to just get back to shooting the bow without fighting the rest. That is why the Whisker Biscuit was such a welcomed idea. Of coarse, the prong style rest was not the only type of rest on the market during this time. The other major type of rest at the time would be the drop away style arrow rest. Drop away rests dominated a large portion of the arrow rest market and they still do to this day. I personally believe drop away rests can be very effective and are significant upgrades compared to a prong style rest. On a drop away the idea is for the rest to drop out of the way of the arrow when you fire the shot. This design allows for no fletching contact (no vane contact to the rest) and served as a very good option for people not wanting to use the prong style rest. The drop away style rest is still very popular and I am sure it will be for a long time to come. Just like everything else in the world, the drop away rest design had flaws but not very many. A common issue customers bring up would be that a drop away can be harder to tune, and harder to maintain. This is because drop away rests have moving parts and they have to be timed with the bow in a precise way to ensure the rest will drop at the correct time to prevent contact between the rest and the arrow. This made drop away style rests less desirable for a lot of shooters that wanted something simple and user friendly. If your drop away got bumped, or pushed or anything that would cause it to move then it would need to be re-tuned to make sure it is still preforming correctly. The fear of this happening was too great for a lot of shooters. Most people just wanted something simple that worked in every situation. At the time nothing fitting this criteria existed and it left a huge opening in the market just waiting to be filled and that was the goal for the Whisker Biscuit. Year of the Biscuit! The Whisker Biscuit claimed to contain your arrow in a simple but very effective way and this peaked a lot of interest from potential customers; now all they had to do was prove it. I have heard about a demonstration by Carolina Archery early on where they would nock an arrow on a bow with the Whisker Biscuit installed. Then they flipped the bow upside down while holding nothing but the arrow. By doing this they were able to prove that not only would the arrow be contained, it was actually so secure that you could force it in any direction you wanted without it falling off the rest. Seeing this was mind blowing for countless people because they had just witnessed the solution to some of the most frustrating problems in the history of archery. This solved the "arrow bouncing off" of my prong rest problem, and at the same time gave people that did not want to use a drop away, another really good option ." Shortly after hitting the market the Whisker Biscuit was already being considered a phenomenon, and the reaction to this new rest was overwhelmingly positive. The only real complaint that most customers had about the Biscuit was a simple complaint but a fair one. Early on, the Whisker Biscuit's brushes were considered too stiff and they were damaging vanes but this problem was solved very quickly. The type of material being used for the bristles was swapped out for something a little more forgiving and it solved the problem. As the popularity continued to grow, improvements would be made to the overall design. An example of this would be the famous "V" shaped opening on the side of the rest. This opening was for your arrow to slip into while loading it into the Biscuit. By adding this little opening they had made it to where you no longer needed to slide the arrow in from the back of the biscuit, tip of the arrow first, and instead you could just pop the arrow shaft in from the side at any point. This made the rest even more user friendly and gave it a huge boost in popularity. This version was named the Quickshot Whisker Biscuit and it is the version that most people use/recognize to this day . Here to stay! Once the Whisker Biscuit had floated around long enough to generate the necessary hype needed to spread the word, it quickly became the best selling arrow rest on the market. While popularity of the rest was growing the owners of Carolina Archery had actually offered to sell the company, for a rather reasonable amount of money, to a bigger player in the archery market at the time. I wont go into names or numbers but the offer was turned down. I assume they must have viewed the success of the Biscuit as a fad and that is why they turned down the offer. Regardless of why they passed up the offer the fact remains, it was a huge mistake. It was similar to the time Yahoo had a chance to buy Google for 1 million bucks and turned it down, fast forward 3 years and Google was huge. More time past and the popularity of the arrow rest continued to sky rocket. This continued growth allowed Carolina Archery to eventually sell the business to Trophy Ridge. (I wont go into specific numbers but I will say that it was for A LOT more than the original offer was for the other company that passed on the deal.) Trophy Ridge would continue to build on the successful of the arrow rest until this very day. Why didn't someone just come up with a similar idea and cash in? They tried. Holy cow did they ever try. Like I said before, the Whisker Biscuit's popularity translated into some serious profits for everybody involved with the rest. Where there is money there will always be attempts by other companies to siphon some of it off the top. However! There was a huge hurdle in the road for any one that dare try to rip off the design of the all mighty Biscuit. This hurdle was the patents surrounding the Whisker Biscuit. These patents really narrowed the possibilities of a successful "rip off" and really made it hard for similarly designed products to move in and steal the thunder, but it sure didn't stop anyone from trying! All of a sudden the market was being over ran with all of these arrow rests that claimed to contain and control the arrow even better than the Whisker Biscuit. These types of rests came and went pretty fast but they were abundant. Lets take a look at a few of them! This particular rest was designed to help hold the arrow steady by containing it in the center of the funnel. The rest would contain the arrow and allow for the vanes to pass through it. I have never shot this rest but several people here at the shop have and based on what they tell me, this rest did not work very well. It was very hard to tune and it caused damage to the vanes almost immediately. This rest was later discontinued by the manufacturer and is no longer available. The Funnel Rest is an interesting concept but it just was not very well received. I actually really wish this one could have worked out. Unfortunately this rest had some issues that made it a little less desirable for some shooters. This is the "Air Rest" and in my opinion it is one of the most interesting ideas I have ever heard of when talking about an arrow rest. This rest was going for the same type of full containment that you would see on the Whisker Biscuit but it had one major twist. Instead of brushes being inside of the housing, the Air Rest used magnets. That's right! The arrow would be held in place by utilizing the effects of magnets. You would first have to install a special magnetic insert in the tip of your arrow and this insert would react to the magnet and cause the "levitation" effect. Again, this idea sounds AWESOME on paper but it had some flaws that held it back from greatness. One problem was the weight of this new insert that was needed in order to make it work. This alone presented a challenge because it required you to use a heavier insert and change your arrows accordingly. The most famous problem was with how loud the rest was capable of being. Not everyone experienced this issue but many shooters did while attempting to shoot the Air Rest. I have always heard it described like this. Have you ever seen those egg shaped magnets they sell in the toy section at the Dollar Store? They call that toy the Sizzler and it is designed to be a "noise making" toy. All this toy consists of is two egg shaped magnets that you throw up in the air. Once these magnets are in the air they will collide making a loud "BZZZZZZZZZZZ" noise. If you have heard of this toy, then you know exactly what noise this rest had the potential to make. As you pull back your bow the arrow would slowly pull along the bottom of the rest and then, once you got to the insert, it would go "BZZZZZZZZZZZZZZZ" as the arrow was forced into the center of the arrow rest by the magnets in the housing of the rest itself. The tip of the arrow would stay in the middle pf the rest and there was no fletching clearance issues at all to speak of, but these problems, plus some other ones, all ended up causing the rest to not fair so well on the market. As time went on the Air Rest took another hard blow once people realized that the magnets used as the housing for the rest would rust very easily if you were not extremely careful. I feel like if this idea had worked then the Air Rest may have been a serious big player to this day in the arrow rest market. During this time any little flaw in product design would be enough to make it fail because people had a cheap and dependable alternative with the Whisker Biscuit. The "Air Rest" was later discontinued and is no longer on the market. I have actually talked about this rest before in another article but it is a good fit for this one too. The Whisper Disc is, in my opinion, one of the most obvious attempts of a knock off to the Whisker biscuit I have ever encountered. It doesn't take much more than a passing glance to see that the Whisper Disc and the Whisker Biscuit share some serious similarities. This is a product that I have never really tried out much personally but Daniel, our production manager here at the shop, is extremely familiar with them. What does Daniel think of them? He is not a fan! According to Daniel this arrow rest caused him countless headaches during the time we were stocking them and trying to use them in bow packages here at the shop. "The foam triangles inside the disc would break completely out and go flying down range sometimes and it was almost impossible to get the vanes to pass through those small slits between the triangles unharmed" he said. 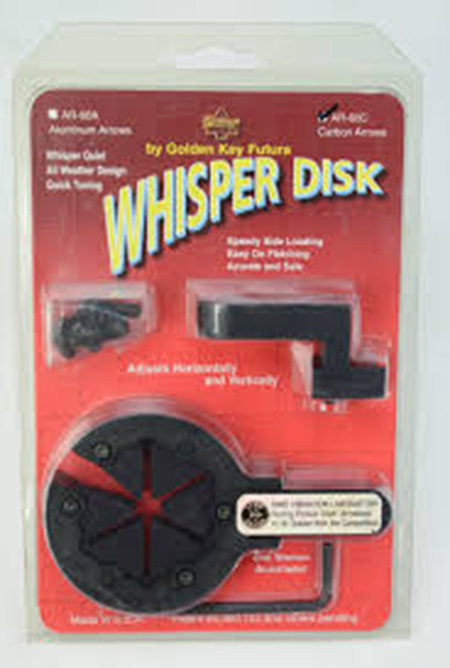 The Whisper Disc did gain some popularity by a small handful of shooters but it was eventually discontinued by the manufacturer and is no longer available. Some attempts were made at combining the popular drop away concepts with the very popular containment rest idea. This is the "Vanishing Rest" by Tri_Van. This as an interesting design and you can tell a lot about how it was meant to work just by looking at it. The arrow would rest on the brushes up until the bow was fired. Once the bow was fired, the cable connecting the bow to the rest would cause the brushes to "drop" back into the housing of the rest, similar to a drop away. This, in theory, would give a shooter all the benefits of a containment rest with the zero fletching contact of a drop away. So how did it due on the market? Well, it was a short live product that never really managed to find it's audience. Apparently the rest did not work very well and according to several reviews I read while preparing for this article, the rest was also notorious for breaking or simply not functioning correctly. The brushes would commonly fail to retreat back like they were supposed to and this would cause major contact between the vanes and the rest. 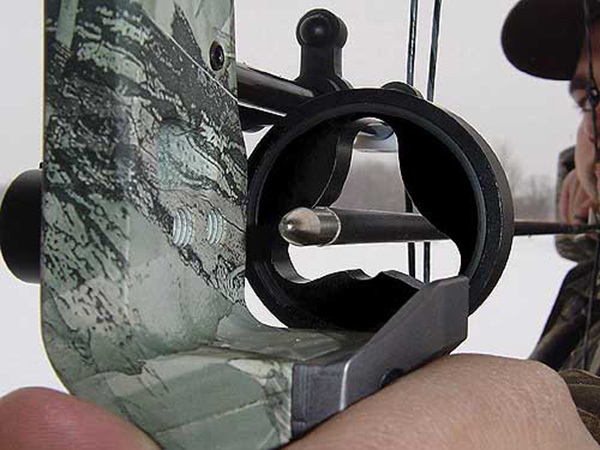 Having your arrow make a direct hit into an arrow rest that was supposed to drop out of the way is more than enough to scare any shooter away from a product. After a short run on the market the Vanishing rest "vanished" all together. The Whisker Biscuit is the best selling rest of all time. Keep in mind that anyone attempting to rip off the Biscuit had to come up with an idea that worked, and an idea that did not infringe on any of the existing patents put in place by the Whisker Biscuit. These patents were now owned and enforced by Trophy Ridge, and they were more than willing to go after anyone that stepped on their toes. 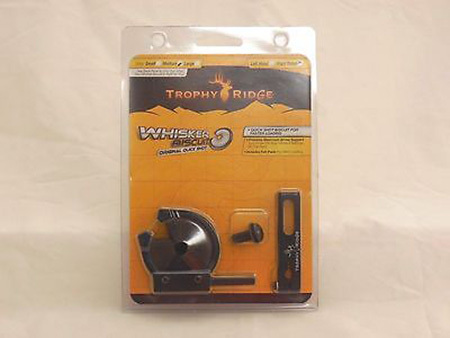 You can Google "Whisker Biscuit and Patents" and it will bring up all kinds of past court cases between Trophy Ridge and who ever happened to mess with them at the time. There was more to the Biscuit than what meets the eye! If you take a look at the containment style rests that hit the market in an attempt to mimic the Whisker Biscuit's performance during that time, you will start to notice something they all have in common. On most of these arrow rests "containment" was the primary, and sometimes the only, focus. All of these rests were built to hold the arrow in a secure way, and to be honest, they all managed to contain the arrow very well. It was when the arrow started making its journey through the arrow rest that really proved to be the downfall to most of the knock off Biscuits. What did the Whisker Biscuit do that the others did not? Yes! The Whisker Biscuit contains an arrow very well thanks to being completely surrounded by the bristles of the biscuit but that was not its only skill. To see why the Biscuit really worked so well you have to look a little closer. The Whisker Biscuit had something that the others did not have, something protected by the patent. Think about it. The only portion of the biscuit that was not packed with these bristles was the small circle at the center where the arrow actually sits, right? At surface value it would seem as if this small circle's only purpose would be to provide some room for the arrow to sit/pass through but it actually has another purpose. It may have been intentional or it could have been a happy accident but either way, it is an important factor in why they work so well. This small space at the center also acts as a guide for the arrow. To understand what I mean by this it is first important to know what happens when you fire an arrow. When you draw back your bow and fire the shot your arrow will be pushed forward at an incredible speed. All of this energy causes that arrow to flex and wobble from the moment it starts to move towards the target. It is during this small window between firing the shot and the arrow actually passing through the arrow rest that sets the Biscuit's design apart from most of the others. The small gap in the center of the Whisker Biscuit acts as a funnel, and since the gap is so small, the arrow is forced into a straighter trajectory before it even leaves the bow. Your arrow will start out as a noodle wobbling out of control until it passes through the small opening of the biscuit. As the arrow passes through the small opening, the wobbling will be dampened and controlled, allowing it to come out more stable on the other side. This is why Whisker Biscuit's tune so easy and stay tuned for so long. They contain the arrow sure, but they also control/limit the natural flexing that happens to an arrow during a shot. Matter of opinion. Just like with anything else in life, whether or not you are a fan of the Whisker Biscuit is based on your personal preferences as a shooter. No one can deny that drop away arrow rests make up a huge portion of the arrow rest market, and for a good reason. Drop away rests allow you to comfortably shoot without fear of contact between your vanes/feathers and the arrow rest itself. This in turn prevents any speed loss that may occur due to friction caused by that contact. Since your vanes must pass through the bristles of a Whisker Biscuit some very minor speed loss can occur. The bristles of the Biscuit are also capable of warping your vanes in time. This means that just like anything else in the world, the Whisker Biscuit is not perfect but it doesn't have to be. 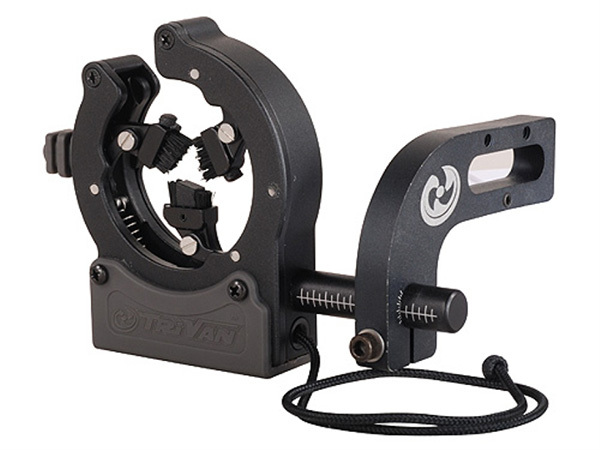 It did however, manage to make life a lot easier for a lot of shooters all over the world and that is why is stands out. Maybe someone will top it someday but for now the Whisker Biscuit is the champion of the containment arrow rest world.